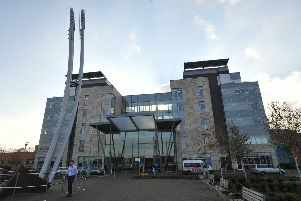 The Cambridgeshire & Peterborough Clinical Commissioning Group (CCG) has hinted at plans to re-establish NHS-funded IVF. The decision to cut fertility treatment - other than for patients undergoing cancer treatment and for men who have a chronic viral infection - was taken in September 2017 to save the cash-strapped CCG money. Now Jan Thomas, accountable officer, has hinted that plans to partly re-establish IVF treatment in Peterborough and Cambridgeshire could be just around the corner. Several authorities had saved money through the discontinuation or suspension of NHS-funded IVF treatment which in Peterborough was expected to save £637,000, although in South Norfolk this was completely reversed. In Peterborough and Cambridgeshire, the CCG’s Governing Body is reviewing whether to re-establish full IVF treatment at its meeting on May 14. “The problem is that there is a £20 million gap in funding, and if we reinstate NHS-funded IVF treatment, then something else will have to suffer as a result,” Ms Thomas added. Cllr Brian Rush said: “I hear what you say about a funding gap, but to deny this form of treatment to young women desperate to have children is simply wrong, in my opinion. Ms Thomas responded: “I hear what you are saying councillor, and in many respects I agree with you. As I have said already, if the Governing Body decided to fund at least one round of NHS IVF treatment, then I would not object to that. “The problem is the £20 million gap in funding is not simply going to go away. It really exists, and if we reinstate IVF treatment then something else will have to suffer as a result. “I would like this committee to really consider what would be acceptable to leave out as an NHS treatment. Because some treatments only affect a few people, but what if we chose to leave out something that affected hundreds or even thousands of people? The committee unanimously approved a proposal that the CCG’s clinical body consider the reinstatement of NHS-funded IVF treatment, at least for one round.